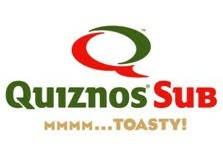 Hi, we’re Quiznos. We make bold, toasty, delicious sub sandwiches to stuff your face and fill your belly. Striving to make the best soups, salads, cookies, and subs in town, we use high quality ingredients and chef-designed recipes, and we toast nearly anything and everything that will fit in our famous Quiznos toasters.